This Calendar Book Printable is a great way to teach your younger children all about the concept of timing and planning. I created this printable which would be great to use with a kindergarten or grade 1 student. If you have a preschooler who can do the writing then they could use this as well. 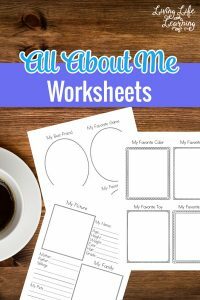 I know for a fact that kids love this printable because it shows them how to stay organized and be more like “mommy” or “daddy”. All kids want to be more grown up which is why they’ll often mimic you and whatever you’re doing. Printing off their own Calendar Book is a great way that they can take charge of what the day holds! I love the calendar book because it eliminates all those questions about what day is it today or when are we doing so and so, they can see it on their own calendar to keep track of things themselves and develop a sense of time. This printable set includes all a cover, 12 months, today’s letter and number worksheets, and writing practice for days of the week and months of the year as well as a clock. I like to put my printables in page protectors and use a dry or wet erase markers on them so they can be reused except for the calendar pages. 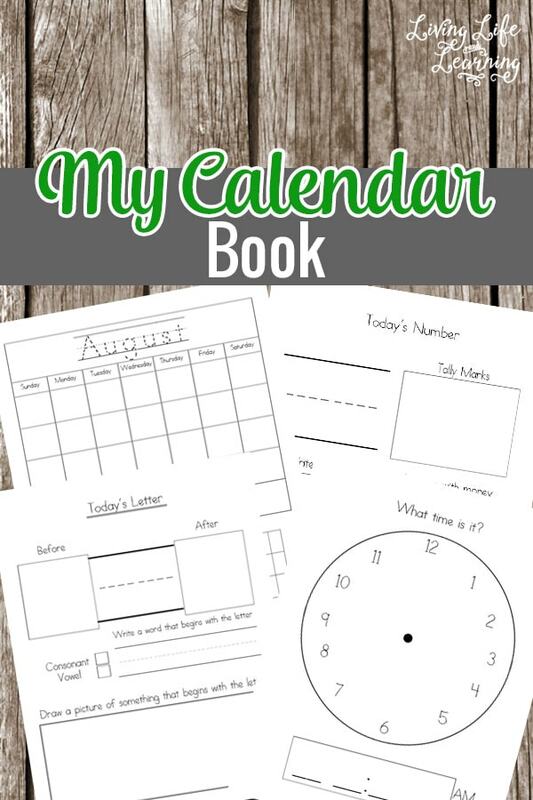 While these Calendar Book printables are great, there are also other resources out there that you can use to teach your child the concept of time and days. We’ve had great luck with magnetic type calendars that we can hang on the wall so we see it every day. And when it’s time to interact with it, the kiddos love to move and use the magnets! 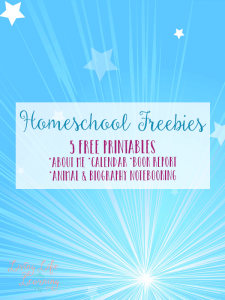 If you like this free kid printable, don’t forget to check out the other printable options that I have to offer as well! 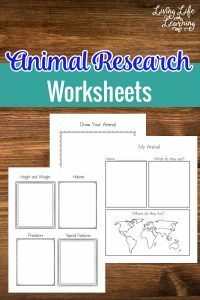 The more that you can print them off and work with your child, the better they’ll develop those written and verbal skills. This is a part of my 5 day of Educational Freebies series. Thanks for the practical tips! Appreciate the printables! I love that you included a clock in your packet. Telling time is such a hard concept for children to learn now that everything is digital. Thanks for sharing at the #Made4Kids Link Party!